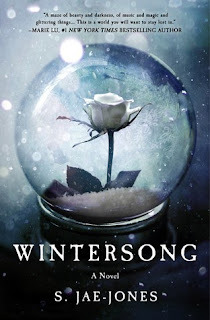 Wintersong is a beautifully written old tale about Liesl, the eldest daughter in a family, who has a love for music and magic in her heart, but there's no place for all that among all her family duties. When she is little, she runs to the forest to play with a strange boy who understands her, who often asks if she'll marry him someday when they grow up. She never really gives him an answer, she thinks it's just a game they play. Then one day, Liesl does grow up...and forgets all about the strange boy she used to play with. When Liesl is grown, she no longer pays attention to the dark tales of her youth, even when her grandmother warns her not to forget the old ways. She is lost in the responsibilities of being the oldest daughter and watching over her younger sister and brother. Until, one day, just as her grandmother warned her in old stories, the Goblin King rides through the forest looking for a bride, a sacrifice, to ensure winter doesn't last forever. When the Goblin King takes Liesl's sister, she must get her back. This story is dark and haunting. It is filled with superstitions and magic and music. It is everything you could want in the truest sense of old faerie tales, the Brothers Grimm versions - not Disney's. While I realize this book is labeled as a YA, I don't feel that it is. The Goblin King is seductive. He teases and lures and tempts every chance he gets, which causes delicious tension in the book, but I think it's more for older high school students. It's definitely not for middle school students. As I read this story, I was reminded of pieces of other stories. After I read it, I saw someone else's review that felt the same way and listed all the ones that came to their mind as they read (including a couple of Greek myths). I agreed with every one, so it wasn't just me who picked up on it. It isn't that Jae-Jones' tale is an imitation of others. I just think she took the best parts of what makes an excellent faerie tale and wove them together with her own beautiful prose. And it is beautiful prose. And beautiful music. And a beautiful Goblin King. In case you haven't guessed from previous posts, I have little respect for Stephenie Meyers as a writer. Yes, I read the Twilight Saga because my daughters (when they were teenagers) asked me to read them. This was before the movies ever came out. I thought Meyers writing was pretty bad, and I felt the only messages young girls would ever get from those books were the wrong ones: A man defines you, you're nothing without a man, your only goals should be to get a man, and girls are supposed to whine A LOT. The story, at its core, is a good science fiction tale. It even makes you ponder life questions. The problem is Meyers can't get out of her own way. If a good editor took out about 300 pages, like less whining and misplaced sarcasm and banter between characters where it doesn't belong, it would be a decent story. Heck, maybe even a good one. And I say that as someone who was raised on "Star Trek" and "The Twilight Zone" (and I love both), but sci-fi is far from being my favorite reading genre. However, I appreciate a good story of any kind. Meyers had a good base, she just lost it in too many meaningless words. "Was the juice worth the squeeze?" It was not worth 620 pages to try to find a decent, base storyline. However, was it worth it to read 620 pages because a friend ask me to and wanted me to give an honest opinion and trusted me to do that? Yes. Yes, it was. And I do believe, whole-heartedly, that if you choose to belong to a book club YOU SHOULD READ THE BOOK. It is difficult, in my opinion, to find good books for middle school students, especially middle school students who struggle to read well and feel they hate reading altogether. If I didn't believe, in my heart of hearts, that it is impossible for someone to hate reading, I wouldn't teach. What I do believe is that someone who thinks they hate to read just hasn't been guided down the right path for him or her. I believe there is a book out there, somewhere, that will unlock the door to that student's curiosity. If you can pull them in that way, a student is more likely to make the effort it takes to overcome his/her struggle with reading to satisfy their curiosity. There are far too many boring or inappropriate books in middle school for children who are truly eleven and twelve years of age, in my opinion. And by 'truly', I mean students who are the typical reading level and maturity of that age. Don't get me wrong, for voracious, high level readers that will absorb almost anything in their path (like me), finding a book in a middle school library is not a daunting task at all. Those types of students walk into the library and hear book angels singing! (I should know, I hear them, too.) The thing is, those aren't the students I need to reach the most. Those children are already on their own path of self-discovery. They love to talk about books with me that we've read and share an interest in together. What I need, for my struggling students, are good books that are interesting, but not too difficult. I need books that aren't set in a faraway country with strange names and descriptions, or in a fantasy kingdom with a made-up language, that are too long and complicated for a struggling reader. I also need novels that a student, who is not a native English speaker, can understand without having to study the history of something to grasp the meaning. 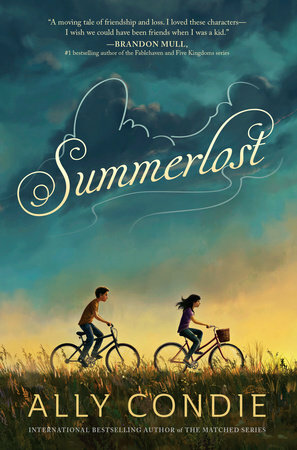 What I need are more books like Summerlost by Ally Condie! I don't hesitate to tell you that this book is perfectly wonderful. 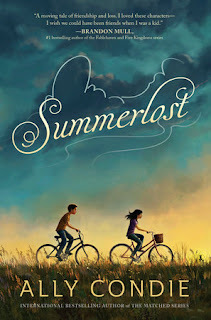 The great thing about Summerlost (aside from an awesome title and beautiful cover) is it would interest readers of all ages from fifth grade on up. It's...just a really good book. I completely enjoyed it! As a teacher of reading, though, I couldn't help but notice all the great things about it that make it a good book for middle school strugglers. The chapters are short, the flow of the book never drags, there are equal amounts of action, dialogue, and lovely shades of deep meaning. By "shades of deep meaning," I mean there are poignant moments that are perfectly time and don't go on and on, but the meaning goes straight to the heart. You feel it. As for the story itself, it's a tale of a girl named Cedar Lee who is trying to put her life back together. As the novel begins, the reader finds that Cedar's father and little brother were killed in a tragic car accident over a year ago. Cedar and her mother and other little brother have bought a summer home in the small town where her mother grew up. It isn't that the family is rich, far from it. It's that her mother bought the property with insurance money (from the accident) to be near her extended family, to help heal and repair her own. The intent is to rent the property out during the school year to college kids and use it for her family in the summer (Cedar's mom is a teacher). The story revolves around Cedar's summer activities, her thoughts, her new found friendships, and trying to sort out all the things that twelve-year-olds try to sort out in their heads. A big part of the story revolves around Cedar working at the local Summerlost Shakespeare Festival, where she dresses up in Old English clothes and sells theatre programs. There is also a local mystery she tries to solve with her new friend, Leo, which is an interesting side-story that helps drive the plot. There are equal amounts of humor, sarcasm, action, and heart felt moments in this novel. It's been a long time since I've found one I like this much that I feel is appropriate for my sixth graders. In fact, I love it so much I've ordered ten more hardcover copies to start a book club with it. Yes, it's that good, and it deserves a small following of faithful students that will spread the word like wildfire. This spark deserves to be fanned into a bonfire! So, if you're looking for a great book for middle school students, no matter the reading level, this book is what you need. Or, if you're just looking for a really good book for yourself as a "tweener" (that's what I call smaller books I read between bigger novels), this one definitely fits the bill. I would not hesitate to recommend this book to any adult who loves a good story and would like to be reminded what twelve felt like once-upon-a-time. It is a lovely book. In case you're wondering why I added an extra post this past week, I've had a bit more time for reading and blogging. I've been on Spring Break this past week, and it has been wonderful! I decided to enjoy a "staycation" this year, as I'm saving up for some big trips this summer. I couldn't have asked for a better week. The weather has been a little bit of everything I like, and a whole lot of what I love. My husband and I have done some fun things in our own local area, and we've visited with friends and family we love. It's been an all around great week! I hope everything is wonderful wherever you are, and I hope you're finding great things to read and feed your brain! I'm not a person who feeds my reading brain a constant diet of horrific things. I am an empathetic person, and it is difficult and painful to read about tragedies. I do believe, however, that there are terrible things that have happened in the history of the world that need to be brought to the surface and examined. We need to learn from the mistakes of the past to keep them from ever happening again. And I won't hesitate to tell you that few things upset me more than to learn a horrible truth about the world that I didn't learn from my public school education or my college education,...or by simply living as long as I have on this earth. It always leaves me dumbfounded and angry...and determined to spread the truth. Did you know that there were three countries that disappeared off the map of the world in 1941 and did not reappear until 1990? I am ashamed to say I didn't, and I am even more ashamed to say that my education and my extensive reading list never told me about it. All I can do from this point on is make sure another student never leaves my classroom uneducated about this terrible event in history. I believe that Ruta Sepetys is the right person to help us all understand about a little known truth that some people still try to deny to this day. 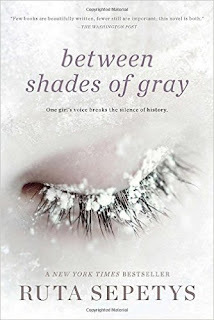 Between Shades of Gray, by Ruta Sepetys, tells the story of a teenage girl, Lina, and her family who are driven from their homes in Lithuania by the Soviet secret police. They are shipped on a train in a cattle car to forced labor camps. It is a harrowing journey for the family, and Lina takes us along with her, sharing her thoughts and fears. While Lina's story shines a light on the atrocities suffered by many people at this time in history, it is also a story of endurance and hope. And at the very center of this novel beats the heart of a family who loves each other very much. The author tells the story in short, direct chapters, and the story moves very quickly, considering the long timeline the journey takes. There are maps and timelines in the front of the book to help readers understand what is taking place in the novel. I believe it is written in a way that makes it easier for young adults to absorb the story and understand it. 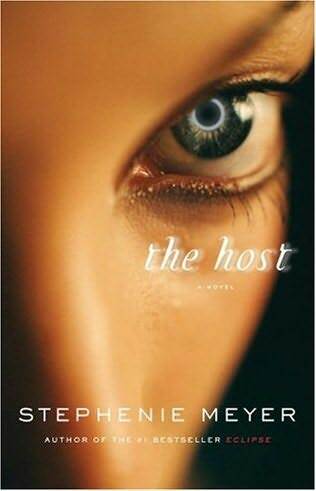 Sepetys is a worthy author to write this story, as her own father is a refugee from Lithuania. While this novel is a historical fiction, the heart of the story is deeply embedded in the souls of Ruta Sepetys and her family. Once you read the novel, do not miss out on reading the Author's Note, Acknowledgments, and An Interview with Ruta Sepetys in the back of the book. I would also like to encourage you to do your own research. While horrible events in history are not easy to look at, it is only by acknowledging the truth that we learn from it. "Success meant survival. Failure meant death. I wanted life. I wanted to survive." There was a small treasure, only 135 pages long, waiting to be discovered on my classroom bookshelf. I'm not sure where it came from, as I get books from many different sources, but I had two copies of it. I actually pulled it off my shelf because the cover looked like something a boy might be interested in. I had a student coming by to read for me, and I was hoping to find something he might want to take home and continue reading after we started it together. I'm happy to say that we both found it interesting, and both of us wanted to continue the book. 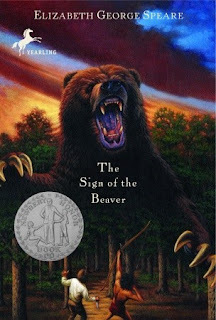 The Sign of the Beaver, by Elizabeth George Speare, was originally published in 1983, but I had never heard of it before. It is a historical novel, set in the 1700s, about a twelve-year-old boy, Matt, who is left in the Maine wilderness at the new cabin he and his father have built. They are the first to start a new settlement. His father has returned to gather the rest of the family and move them to the new cabin. Matt is left alone to continue to settle in until his father returns. From my student's point of view, he found it hard to believe a boy his own age would be left behind in the middle of the wilderness to take care of himself for weeks. My student also found the relationship between Matt and his father strange because, in the very beginning, it says that Matt's father doesn't talk much, even when it was just Matt and his father building the cabin together. Once we got past that part, we both became interested in reading to see how the boy would do on his own. My student predicted Matt would make a lot of mistakes and, within the first few pages, he shook his head and smiled when he found his prediction was right. I guess twelve-year-old boys know twelve-year-old boys no matter what century they lived in. The pacing of the book picks up pretty quickly in the beginning when Matt needs help one day and is rescued by an Indian chief and his grandson, Attean. The grandfather wants Attean to learn to read the 'white man's signs', and he wants Matt to teach him read. Attean doesn't want to, but doesn't want to disobey his grandfather. What starts out as a forced, strained relationship between the two boys slowly begins to look more like a friendship as they share adventures together. I found this book to be a treasure because it is a story about a friendship formed between two boys who are as different as they are alike. It focuses on what Matt thought of the Native Americans before getting to know Attean, just as Attean learns to deal with his own preconceived notions of white men. The story moves quickly and has equal amounts of serious moments and light-hearted, humorous ones. I found myself smiling many times as I read. Since finishing the book, I've learned a movie was made about it in 1997, but I haven't watched it yet. I also found there are many different covers for this book, but I'm partial to the one I have, which is pictured in this blog. It was the cover that drew me to the book, and my student was attracted to it, as well. In a world of too many watered-down YA novels, where there seems to be more of an inclination to paranormal romances and the dregs of girl drama, it was refreshing to read an adventure of the historical kind. It's also good to know that my twelve-year-old student, who is being raised in a society of selfies and social media, still enjoys an adventure that has none of those things in it. 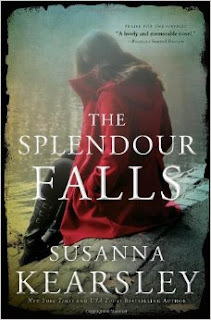 I thoroughly enjoyed my visit to Chinon, France, via another lovely Susanna Kearsley novel. Thanks to her, I have many things I wish to see when I visit that area of the world this summer. I didn't even need to research to confirm all those places exist (although, I researched just for fun, of course). Kearsley was kind enough to confirm, at the back of the book, that only the characters and the storyline were pure fiction. All the places her main character visits are real...and awaiting my arrival (which would explain why I've stepped up my French lessons). As for the Kearsley novel I speak of, The Splendour Falls, I enjoyed it for many reasons other than the setting. I loved all the historical references, which gave me plenty of food for thought and research. I also loved being introduced to a composer I didn't know. Although, come to find out, I did actually know a bit of his music, I just didn't know I did. You see, one day Emily, the main character, awakes from a nap to what sounds like the music of angels. She finds out later it is another guest of the Hotel de France who is a wonderful violinist on vacation. He practices in the afternoons. She recognizes the music he plays as that of Sir Edward William Elgar. Naturally, I looked him up and listened to his beautiful music. I also researched his life and the inspirations behind the music he wrote. While reading the novel, I continued to be inspired by the music. At first, I listened to it as background music during the parts where it's part of a scene. Then, I began listening to it in the mornings, as I prepared for work. I also played a couple of the pieces for my students during passing time between classes. I played my students YouTube versions, which showed great orchestras from around the world playing his music. I told them about him and how I found him through reading a book. I say all of this to point out something I discovered while discussing the novel with my students. I've always said, "I'm a voracious reader," or - of course - a born bibliophile. I approach all of my reading in the same way I approached this one, with a strong desire to be interested and inspired by many things in a novel. I look for something that changes me, that moves me, and adds something special to my life. I don't just read. I absorb. My mind absorbs everything it reads and seeks to find something new and different in every story...all the time. I find inspiration in little things. For example, once I read this Kearsley novel, I let a bit more of the culture of France soak into my soul. I've changed my lifestyle in odd little ways because what I've learned and absorbed makes practical sense to me and adds joy to my life. I am currently inside a Russian Gothic fairytale, and I absolutely love it. Needless to say, it is completely different than Kearsley's novels, which is exactly what I love about it. Variety is definitely the spice of my reading life. Don't worry, though, I won't try speaking Russian anytime soon. I'm having a difficult enough time with my French. 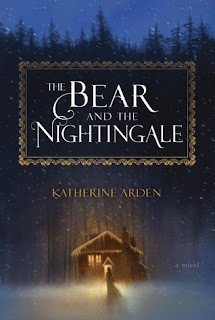 I would like to put in a good word, though, for the author of The Bear and the Nightingale, Katherine Arden. This is her debut novel, which is part of what made the book appeal to me. The cover is beautiful, I love the title, and when I read that she'd spent a year in France and a year in Russian before going to college in Vermont to specialize in French and Russian literature, I became an instant fan. She's my kind of woman. And, without knowing it when I bought it, Arden's novel is definitely my kind of fairytale. There are no weak females that need a prince to save them in this book. Well, wait. There actually are, but it's not our main character, Vasilisa. Trust me, though, this is no story to put children to sleep with...unless you want them to have nightmares. It is a beautifully written nightmare, a cautionary tale, as true fairytales were always meant to be.